This post was contributed by Dr Nicky Busch, Research Fellow in the Department of Geography, Environment and Development Studies. People in the UK work some of the longest hours in Europe and, for those with children, the difficulty in reconciling paid work with childcare involves not only time pressures but significant expense. It is no wonder that an increasing number of families in the UK have turned over their spare room (or in some cases a spare bed in the children’s room) to an au pair. After all, for between £65 and £100 a week, an au pair will look after children, cook, clean and generally be an extra pair of hands. However, while au pairs do many of the same tasks as nannies, cleaners, maids and other domestic workers, au pairing has often been excluded from discussions of paid domestic labour as it is technically not defined as ‘work’. Au pairs have been understood in the media and in popular discourse as somewhere between students and working holiday makers and have generally been imagined as occupying a relatively privileged position without the same problems as domestic workers. This in part reflects the historical origins of the scheme: it was developed in the post-war years as a cultural exchange programme among European countries allowing young women – and it was only women – to travel to live ‘as an equal’ with a family in another country. They would provide help with household tasks in exchange for pocket money and the experience of living with a host family. The scheme was imagined as providing a small amount of extra household help to families facing the ‘servant crisis’, while also giving middle class young women training in running a home. However, au pairing grew substantially during the 1990s and 2000s and au pairs are now depended upon by tens of thousands of British families to provide affordable, flexible childcare. 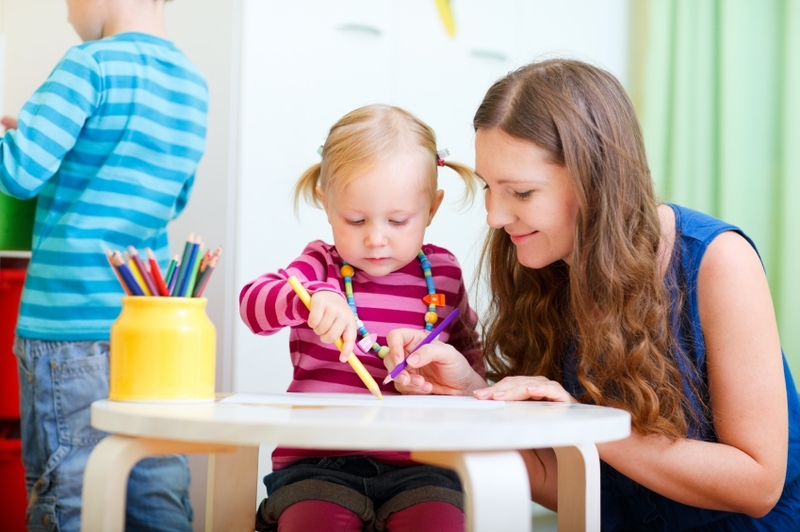 The importance of au pairs as a source of childcare and domestic work – and recent changes to legislation covering au pairing in the UK – suggest the evaluation of au pairs as both privileged and protected needs to be revisited. The lives of au pairs, their working conditions and relationships with host families needs to be understood in light of changes to the scheme which mean that au pairs are now less differentiated from domestic workers and that they now lack protections in terms of remuneration and working conditions which previously existed. The knowledge vacuum about this important form of migrant (mostly) female care and domestic work was a starting point for an ESRC funded research project on the au pair scheme being undertaken in the Department of Geography, Environment & Development Studies by Dr Rosie Cox and Dr Nicky Busch. We are particularly interested in the period since November 2008, when the au pair visa was abolished in the UK. This change, which was part of the move to the Points Based Immigration Scheme, meant sharply reduced government control of the au pair scheme just at the point when for many families in the UK, and elsewhere in Europe, the problem of balancing work and home life has led an increasing number of people to turn to low waged labour of migrant women to perform childcare and domestic labour. The project to date has involved assessing the available data sets to find out what we do and what we do not know about the number of au pairs in the UK and talking to key informants such as policy makers and domestic worker organisations about the effects of changes to the scheme on the ground. We are now at the stage of the project where we interview au pairs and their host families to build as deep a picture as possible of the way the scheme works and how people involved experience being an au pair or being a host family. We will then use our data to produce and disseminate academic material. Category: Social Sciences History and Philosophy Tags: au pair, childcare, domestic, family, Politics society and law by Bryony.